In today’s new Gilded Age, Americans are constantly vying to one-up each other. You show up at your high-school reunion in a new Mercedes E-Class; then your classmate pulls up in a Maserati Quattroporte. (Some would call it a $50,000 car with a $50,000 hood ornament, but still, it’s a Maserati.) You show off a picture of your 42-foot sloop; your neighbor whips out his phone to show off his 62-foot schooner. You show up in Davos in your new GII; your business rival flies in on a GIV. When will it all end? The IRS isn’t generally interested in financing your conspicuous consumption. (Not unless you drive that Maserati to work, in which case, trust us, you’ll want to choose the “actual expense” method for calculating your deduction.) But there’s a new toy that some of capitalism’s winners are showing off, and this one comes with some beautiful tax breaks. We’re talking, of course, about a private art museum. Rich art collectors have always taken fat tax breaks for donating art. The Association of Art Museum Directors estimates that 90% of the collections held by major museums were gifted by individual donors. This is an especially good way to avoid tax on capital gains. Let’s say you bought a minor Cezanne or an early de Kooning 30 years ago for $100,000. Now the painting is worth $3 million. If you give it to your local art museum, you can deduct the full $3 million fair market value! Of course, there are rules in place to frame the deduction to make sure you don’t abuse the privilege. If the value is more than $5,000, you’ll need a qualified appraisal. Your deduction is limited to 50% of your adjusted gross income, although you can carry forward any excess for up to five years if you can’t use it all in a single brushstroke. And the IRS maintains an Art Advisory Board to review appraisals. But museums can’t always give your donation the same care and attention you would give it. New York’s Metropolitan Museum of Art includes over two million pieces. It’s easy to imagine your donation winding up somewhere back in storage, like the Ark of the Covenant in the last scene of Raiders of the Lost Ark. That’s where the private museum comes in. There’s really not much to it. Just set up a private foundation to hold the collection and operate the facility, then stuff it full with your art. Now you’ve got your deduction and control over your collection. Who sets up one of these private museums? Peter Brant Jr. is the son of a billionaire paper magnate who married supermodel Stephanie Seymour. In 2010, he opened the Brant Foundation Art Center, conveniently down the street from his Greenwich estate and next door to his polo club. In Potomac, MD, Mitchell Rales, founder of the Danaher Corporation, opened the Glenstone Museum across the duck pond from his house. 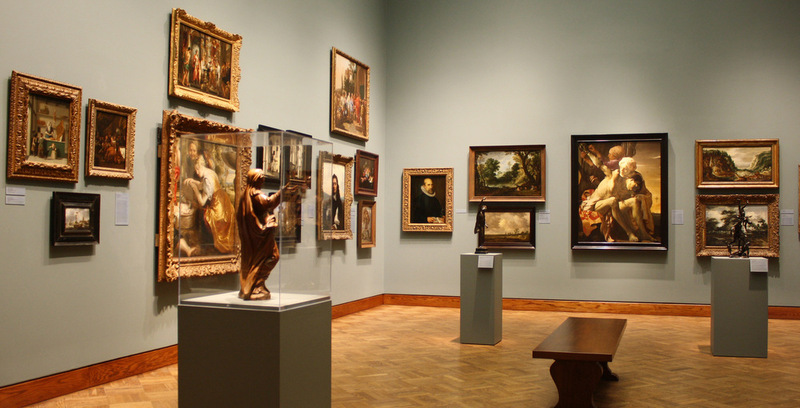 Plenty of public museums, including New York’s Frick Museum, Philadelphia’s Barnes Foundation, and Washington’s Phillips Museum all started life as private collections. But critics have argued that, while the new breed of private museum meets the letter of the law, it may not always meet the spirit. We realize your art collection might not include more than the dogs playing poker hiding in your basement rec room. But that doesn’t mean you can’t canvass the tax code for the same tax-planning strategies that major collectors use to structure their private museums. Just call us for a plan, and we’ll see if we can make beautiful art with your finances.